Northern passengers can now claim compensation for 15 minute delays. This is an extension of the scheme that was available previously for delays of 30 minutes or more. Passengers can now claim compensation worth 25% of the single fare if delayed between 15 and 29 minutes. 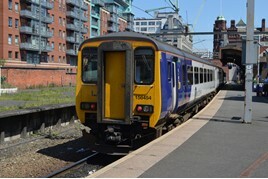 Northern Deputy Managing Director Richard Allan said: “We are truly sorry for the inconvenience caused by the disruption to rail services earlier this year and have paid special compensation to more than 11,000 season ticket and non-season holders since the summer. Strategic Rail Director at Transport for the North David Hoggarth said: “The major disruption passengers across the North have endured this year has been unacceptable, it’s only right that they’re compensated when things go wrong. Department for Transport said that more than 12,000 claims from Northern passengers have already been submitted following the announcement of a special compensation package earlier this year. More than £1million has been paid so far.